MrKNarula, 17 Sep 2012I cant believe after checking the website.This fone is a chinese handset without any further d... moredude u got it wrong ,its worth 1600 chn yen ,in usd 253usd. its 10k+ worth. 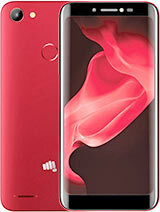 Itz only cheapest business trik of micromax.. Some people say that this phone is not good for gaming. Are they right? 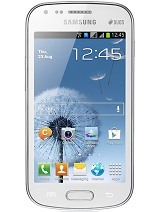 I have idea to buy this mobile..pl guide me whether it s good or shall i go for Sony tippo? Need few info about battery life and is it worth to buy? guys, pls ket me know when again this mobile will be available in the market.i am not a gamer,but just a average user who likes bigger display,thats it. 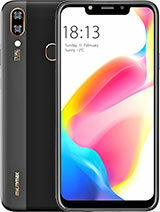 i am looking forward for this mobile,as it fits my bill not 100% perfectly,but OK for its size and battery.pls update me with any date of availability.already waited for 3 weeks. hi....m devan m going to buy tiz phone ..soon.plzzz tell me...whtz its video recording...quality..and battery ..life,,,,!! can anyone tell me, is this phone support flash player(Flash browser support)? kunal, 16 Sep 2012guys plz make u aware this mobile is only best for net not for gaming it's hang while playing ... moreusing mmx A100 by 15 days didn't find any prblm in playing temple run or blood and glory or contract killer while it lags in playing PES 2012....In my opinion its worth your money. 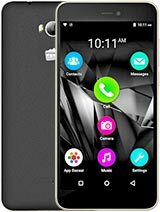 AnonD-71416, 16 Sep 2012Hai saran,If ur budget is below Rs.10,000 ,without any doubt buy this phone,I am using this ph... moreYes very true. This fone is worth the bucks..few issues as u mentioned that while charging it goes really crazy, the hands free are just a show off, battery is fine : charge for 4-5 hrs and ur ON with most of the things..about red border (it was coming for me as well)..Reset the phone from settings and it will be working all right. Overall, a justified buy !! 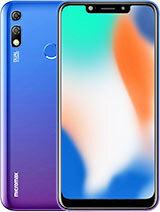 I cant believe after checking the website.This fone is a chinese handset without any further doubts.. but what am goin to tell you is really horrifying ..i checked this website . Someone already pasted this link before. This fone cost like 1600 japanese yen over there . and if you convert this money.Its just 16 dollar phone WTF. I have already bought this fone and right now thinking what Micromax is doing with us guys..!! Now i know why this handset has problems..Its cheap and we are fooled!! you cant just trust..This is my last Micromax product ever..!!! Mostly all the features are available in this phone as in branded higher end phones, but dont expect that much performance in A100. Branded phone with this features start from price 18K. this phone cost less than 10K. 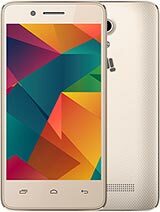 If u use this phone as basic phone then denfinetly its gives u rich look in 10K. if u wants more advanced and efficient phone means spend nearly 20K for branded phone and enjoy all this features. Mostly all the features are available in this phone as in branded higher end phones, but dont expect that much performance in A100. Branded phone with this features start from price 18K. this phone cost less than 10K. If u use this phone as basic phone then denfinetly its gives rich look. if u wants more advanced and efficient phone means spend nearly 20K and enjoy all this features.